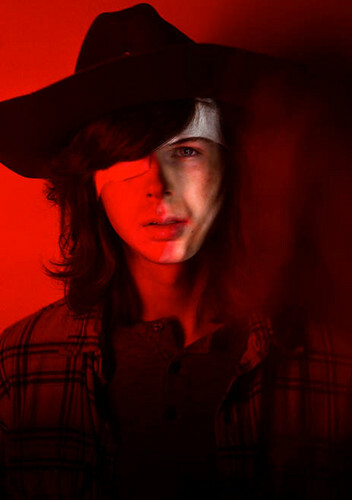 Season 7 Character Portrait ~ Carl Grimes. . Wallpaper and background images in the द वॉकिंग डेड club tagged: photo the walking dead season 7 character portrait red 2016 carl grimes. This द वॉकिंग डेड photo might contain फेडोरा, महसूस किया टोपी, homburg, स्टेटसन, trilby, टोपी, होम्बर्ग, स्टेट्सन, त्रिलबी, fedora, लगा टोपी, and stetson.